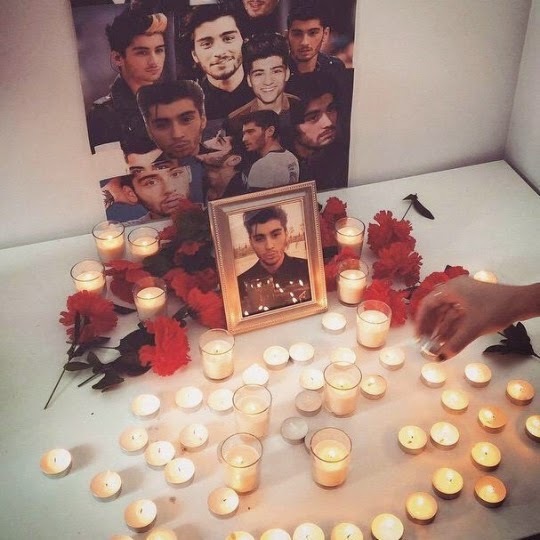 Just PMSing: GUEST POST: RIP Zayn, I guess. Hi, PMS readers. This is a guest blog from my friend and former co-worker Chantal. We both dated men with the same name, so we are forever linked. Enjoy. Hi, I’m Chantal Espinoza and I’m a Directioner. I’ve been a fan since April 2012 when “What Makes You Beautiful” started hitting airwaves. My first memory of the song is when my friends and I were on our way to a party during my freshman year. 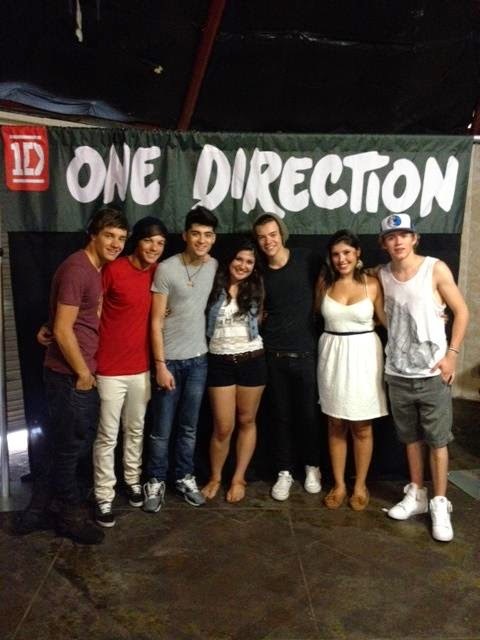 That summer, my best friend and fellow Directioner Aubrey rigged a radio contest to win meet and greet passes to see them at Dallas’ Gexa Pavillion. While the experience mostly consisted of us sitting in the Texas heat for almost an hour and us freaking out about our make up and hair ­– we did get to spend a good two minutes with the boys. We hugged and fell in love with each one of them. Since then, I’ve seen them in Denver, CO in 2013 and recently in August in Arlington at Cowboy Stadium (I refuse to call it AT&T Stadium). Needless to say, I’ve had more interaction with Zayn Malik than the average person. So when I say I’m angry and upset about the news he’s leaving One Direction, it’s coming from a person who’s maintained a close relationship with him. My dear best friend Emily de Santos informed me of this #BreakingNews while I was on a work lunch with my colleagues and a client. I was supposed to be interacting and participating in an engaging conversation, but in my head I was trying to understand what that all meant and if it was really true. Not that I was doubting Emily or anything, but E! News sometimes gets bad info, right? 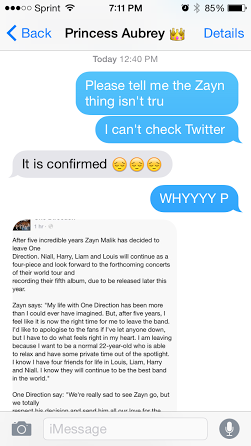 So I texted Aubrey, who is all knowing on anything and everything One Direction, and she confirmed the news to me. Being as I couldn’t really be on my phone and confirm it to myself, I was freaking out internally. I had to collect myself and pretend this wasn’t happening. Once the lunch ended, I read the statement. Back story: Zayn decided to take a break from the 1D world tour, which is currently performing the Asian leg of the tour. This all comes after photos were released of him holding hands and hugging some random girl with blonde hair that wasn’t his fiancé Perrie Edwards of Little Mix. His statement read he was to fly back to London and recuperate from “stress.” OK. We’ve all been stressed. When I’m stressed, I go get my nails done or go shopping – not quit my job. However, I get being accused of cheating on your future wife would make things a tad more stressful, but that’s when you either 1. Admit you cheated and move on. 2. Call your fiancé, who is also a pop singer, tell her “Babe, this was just blown out of proportion like the last time I allegedly cheated on you and let’s let this one blow over, too.” 3. Do number 2 and she doesn’t believe you. Tweet you’re just a 22-year-old who loves his fiancé and is just trying to live his life. Then take a break from your super successful band that’s making you super rich BUT NO LET’S HALT ALL THAT so you can fly to London grovel for forgiveness and see if that works. Zayn chose number three and as we can see that must’ve not gone as planned, because today he announced he was leaving the band. Now that we’re all caught up, in his statement he said he wants to be a “normal 22-year-old.” I’m a normal 22-year-old, and let me tell you, it’s not fun! Does Zayn really think because he quit the band, his fiancé will think he’s serious and not leave him? Or that because he’s not in an international boy band he’s going to be out of the spotlight – the answer is no, at least to the second question. It’s irrational to think his departure from the band is going to bring him inner peace. He is out of a job. A job that earned him millions. If he can’t handle the media scrutiny now, there is no way in hell he’s going to handle it as a solo artist. Many fans claim Zayn is the sensitive one who was always really shy and reserved, hated the spotlight – OK. You know what those type of people don’t do? Those people don’t become a member of a boy band that’s designed to be followed by millions of girls and expected to have a media following. 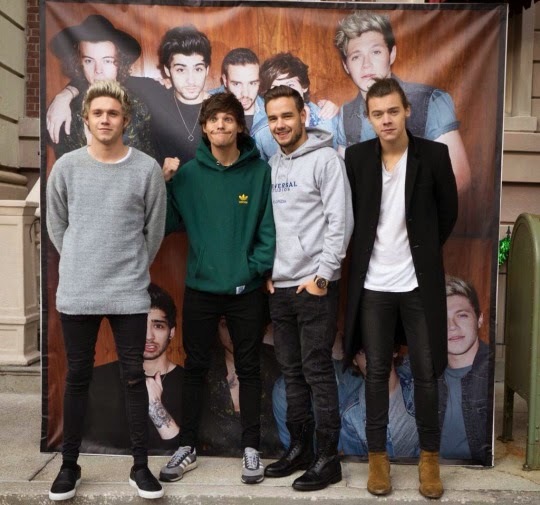 Zayn joined anyway, which is fine. Who wouldn’t? This is a massive opportunity. What could keep you out of the spotlight is to not hold hands with a girl that’s not your girlfriend in a world were paparazzi is everywhere and everyone has a phone. He should’ve just taken the wrath and dealt with it like every other mainstream musician has. Go smoke pot. It’s not like he doesn’t do it already. Quitting the band entirely seems like the biggest slap in the face of 1D fans. They spend a fortune to see the boys goof off and perform their favorite songs. Now they’re stuck still paying a fortune to see just four members. I feel no pity for Zayn. He made all of this mess for himself. JUST DON’T CHEAT ON YOUR FIANCE (and get caught). It’s that simple. I do feel the pain of every Directioner, who now has to feel the pain Spice Girls fans felt when Ginger left. All Zayn had to do is stick with the band until December when their contract ended. They all could’ve broken up and it would’ve been a clean, less humiliating break. But that’s not how it worked out. Harry, Liam, Louis and Niall can, and will, continue to be successful without him. It’s just unfair he left his “lifetime” friends to hang out and dry. They’re the ones who have to deal with this whole mess while he’s hanging out in his house spray painting on walls. However, these boys know how to handle the media. We’ve all seen the boys handle their respective dramas and move on from it, especially Harry. Now that the weak link has left, I expect the next 1D album to be their last. This is their opportunity to position themselves for life post-1D. Harry is probably going to date an up incoming actress or model to bump his popularity, and solidify himself as the next JT. Niall will schmooze his way into a good endorsement deal or act. Liam will try a solo career, fail, become the JC of the group and be a judge on The Voice. Louis will buy a soccer team and maybe host a show, or come out idk. Time will only tell if Zayn made the right decision. I wonder if his fiancé will stay with him and if the band will be as successful without him. In the meantime, I will fork over $200 and buy plane tickets to see them in San Diego in July for what I can only assume will be their last tour. My thoughts are with all of the Directioners out there. May your friends respect your privacy in this time of hardship.